When I was a kid, I hated meat. I referred to anything animal based as meat, there was no distinction between beef or rabbit; lamb or bacon - everything was just meat. The word seemed fitting to me - heavy, harsh and just a little bit sinister. In another family, at another time, it would have been quickly established that I was a vegetarian and I would have become acquainted with Linda McCartney and lead a happy meat free life. Perhaps this would have given me more of an empathetic stance towards my cousins of the animal kingdom, for although when I encounter a spider I have trained myself to scoop it up and deposit it safely in the garden, in my head I'm screaming, KILL IT! KILL IT NOW! IT MEANS YOU HARM! I recently met a man who is colourblind. He very kindly and very patiently, given that it was probably the 9,608th time in his life he had done it, explained to me what the experience is like. He really, really tried and so did I but despite our mutual efforts my neurons could not grasp the slippery concept. I imagine that this is what it would have felt like for my mother if I had tried to explain to her that I didn't want to eat meat. Little girls in Caribbean families eat meat and that was the end of the story. So how did my mother turn me from a meat fearing child to the slow roastin, salami slammin' woman you see before you today - through stealth, persistence and not very thinly veiled threats. STEALTH - The wonderful thing about tofu is is soaks up the flavours around it, so start a project to stick the stuff into as many combinations as you can. If there are saucy based foods that your daughter really likes such as baked beans put the tofu in that. Makes sure you prepare two portions of the meal - one with and one without the tofu - there is nothing more disappointing than watching your lovingly prepared supper be deposited on the cat and having nothing else to serve. PERSISTENCE - The definition of madness is doing the same thing repeatedly and expecting different results, except when it comes to feeding toddlers. Just keep that bad boy on the menu until one of you admits defeat. Toddlers eat very instinctively, unlike grown ups who eat based more on habit than hunger - it just might not be the right time. Also try different shapes and sizes every time you serve it, we all eat with our eyes and you never know when a particular presentation will tickle her fancy. I have a friend, a very wise and accomplished woman - she is in fact the most rational person I know - who INSISTS that penne pasta is disgusting and yet eats all the other shapes. THREATS - Threatening children is a very 80's thing, these days we prefer a bit more carrot than stick. Think of how your own palate developed. Did you always love the taste of olives or wine? Perhaps not but you grew to like it because you wanted to seem grown up or because you were motivated to get very, very drunk. There's nothing wrong with casually suggesting that a mouthful of tofu might result in the procurement of a biscuit. All's fair in love and lunchtimes. That being said after all her efforts to convince me of the delights of meat, my mother became a vegetarian when I was in my teens and hasn't touched the stuff in over twenty years. I learned from this that the things you think are important today are very unlikely to concern you tomorrow. It might be a point of frustration but she will be fine if she never comes round to tofu and it will just provide you with an opportunity for some creative mothering. Did you know quinoa is a complete protein? It can be added to loads of meals as an alternative to rice or other grains. And if she doesn't like quinoa, well who can blame her. Want more on feeding toddlers? Check out this post. Please help Caroline and share your tips for feeding kids. Caroline... don't panic! My kids are veggie and don't touch tofu. And I was too scared to give them quorn when they were little because i'd read that the fat content to protein ratio wasn't appropriate or something! But that only matters when they're weaning really. 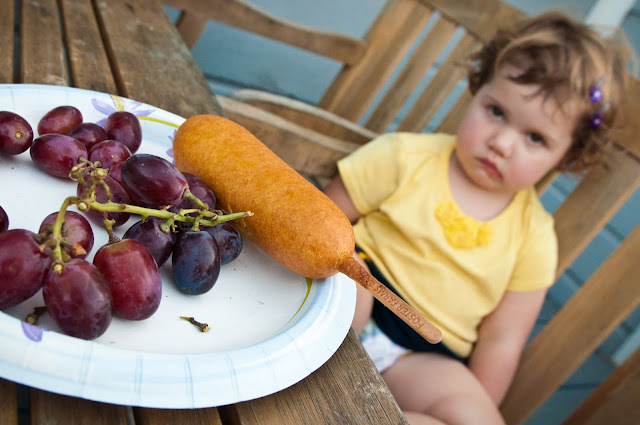 Toddlers eat virtually nothing for about 2 years. Any protein you can get in, do....eggs, peanut butter, cheese, mini quorn sausages. Actually i am assuming she's little but actually even if she never eats tofu...it's not the end of the world. There are so many awesome substitutes for meat these days that she really probably doesn't need it. If you MUST get it in her though, how about making a vegan choc cheesecake with it? Haha I love this post, it's advice mixed with humour. I only ate the olives in an attempt to get extremely drunk. Excellent tips and tricks, will have to use this later on - although hopefully my son will just gobble up veggies like there's no tomorrow. Side note: I would love to have that convo with a colourblind man or woman, so interesting. 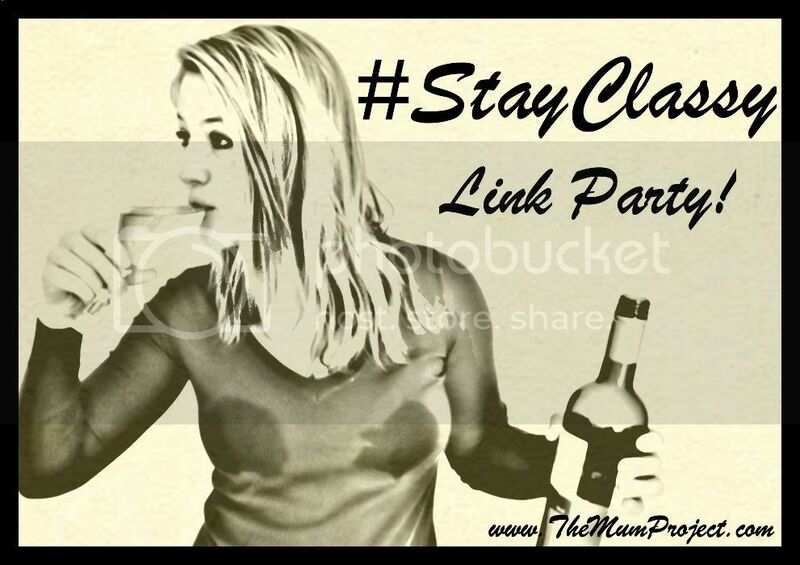 Thanks for sharing with #StayClasy! "All's fair in love and lunchtime." Love that line, and it is TRUE.